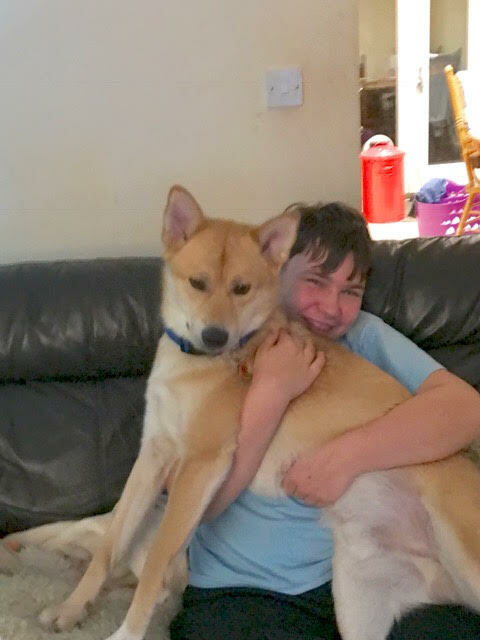 I’m a Pomsky being trained as an autism dog for my owner. I would also like to be a model, I’ll do anything for a treat! Pomsky Central: Where does Munchkin live? PC: When was Munchkin born? PC: When did you get Munchkin? PC: Why did you decide to get a Pomsky? ML: When we were looking for a dog, we wanted a husky as they are known for loyalty and trainability but they need more exercise than we could give. We looked up the breed Pomsky, half husky half Pomeranian. The result is a dog just like a Husky, but smaller. We went for a 50/50 split. PC: How long into the process are you with becoming a service dog? ML: As much as I tried, I couldn’t get a service dog, we have been on the waiting list well over a year! Munchkin will be an assistance dog rather than a service dog. We are coming up on a year of training with only a few more classes to go. PC: Have you ever trained an assistance dog? ML: No, this is actually our first dog so this is all new to us! PC: What is involved in the training process? ML: It has been intensive 1 on 1 training with Barkbusters and a course with Dogs for Good. PC: Who will Munchkin be an assistance dog for? 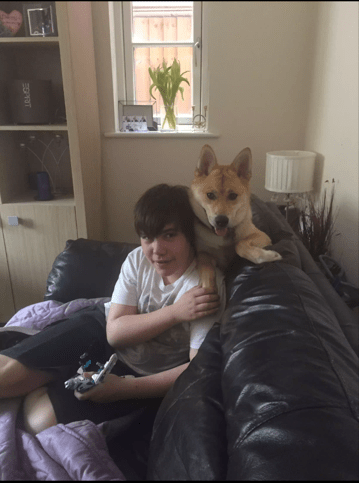 ML: Nathan, my 16 year old son with Autism. PC: Have you seen any improvement with Nathan when you got Munchkin? PC: Have you ever heard of another Pomsky assistance dog? ML: There are a few a Husky service dogs but as far as I know this is a first for a Pomsky! PC: When you got him did you know you wanted Munchkin to be a service dog? ML: From the day we got him the plan was for him to be Nathan’s assistance dog and so far, he is brilliant. PC: What characteristics were you looking for? ML: We were looking for a very trainable dog that didn’t have super high activity requirements. PC: I see that he’s also a sponsored dog and training to be a model? ML: He is currently sponsored by PackLeashes and we are in contact with a modelling company that has provisionally accepted him. I just need to send a show reel of his many tricks. PC: What else does Munchkin enjoy doing in his spare time? 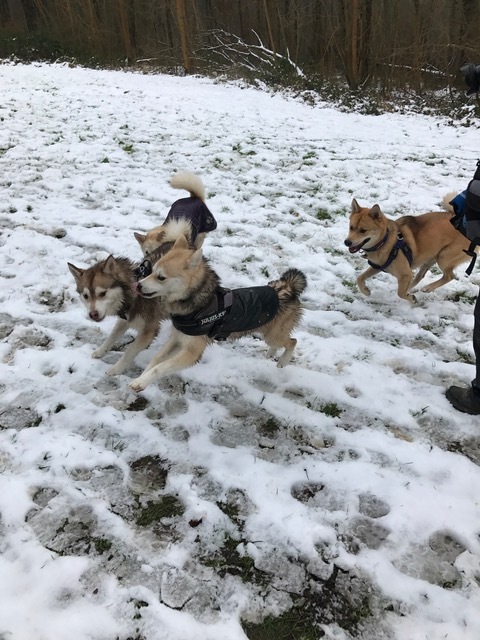 ML: We enjoy going to Pomsky meetups arranged by Humphrys Pomskys and Katiebrooke Kennels. Munchkin horsing around with his pals! PC: Where can people follow Munchkin on social media? ML: You can find us on Facebook and Instagram! The future is very bright for Munchkin, we are looking forward to what’s next and I’m sure all the Pomsky fans are as well! If you know a Pomsky we should reach out to please leave us a comment!